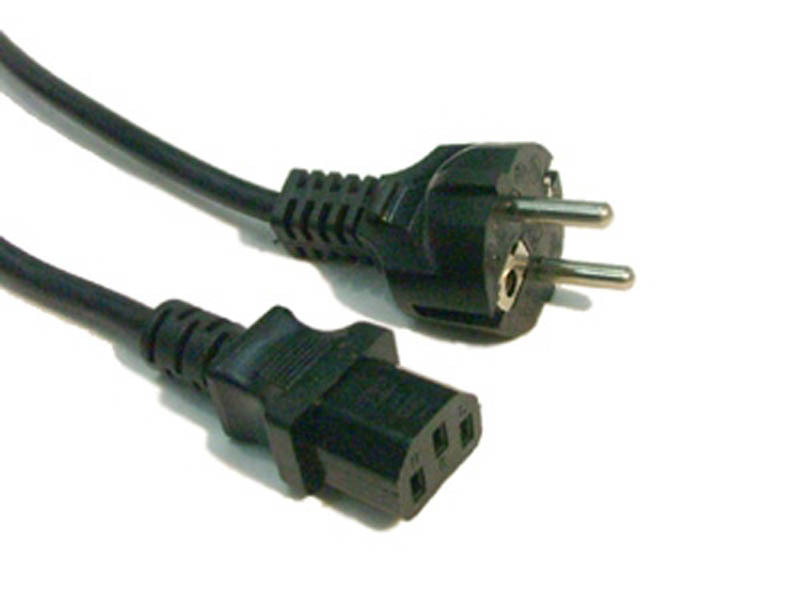 This cable is typically used to connect a European PC or peripheral to a 230 Volt European power point. Length 2mt. This cable is typically used to connect a European PC or peripheral to a 230 Volt European power point. 1 x 230 Volt 2 pin European Male mains wall plug. Cable is black in colour.